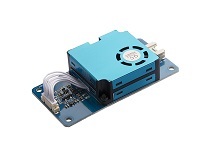 The Grove - Laser PM2.5 Sensor (HM3301) is a new generation of laser dust detection sensor, which is used for continuous and real-time detection of dust in the air. Different from the pumping dust detection sensor, the HM-3301 innovatively uses fan blades to drive air, and the air flowing through the detection chamber is used as a test sample to perform real-time and continuous test on dust of different particle sizes in the air. 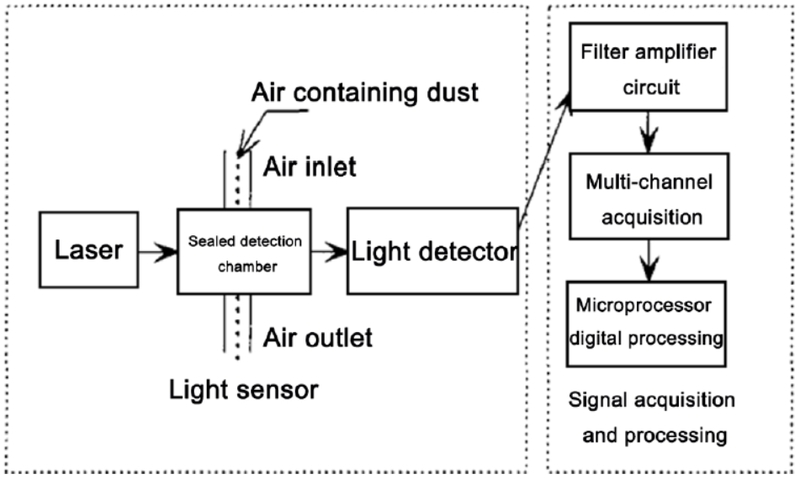 The HM-3301 Dust Sensor is based on the advanced Mie scattering theory. When light passes through particles with quantity same as or larger than wavelength of the light, it will produce light scattering. The scattered light is concentrated to a highly sensitive photodiode, which is then amplified and analyzed by a circuit. With specific mathematical model and algorithm, the count concentration and mass concentration of the dust particles is obtained. The HM-3301 dust sensor is composed of main components such as a fan, an infrared laser source, a condensing mirror, a photosensitive tube, a signal amplifying circuit and a signal sorting circuit. Step 1. 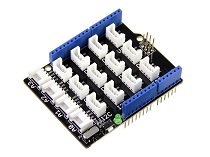 Connect the Grove - Laser PM2.5 Sensor (HM3301) to port I2C of Grove-Base Shield. Step 1. 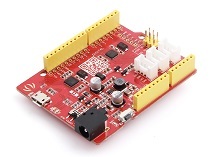 Download the Seeed_PM2_5_sensor_HM3301 Library from Github. Open it directly in the Arduino IDE via the path: File → Examples → PM2.5 sensor → basic_demo. 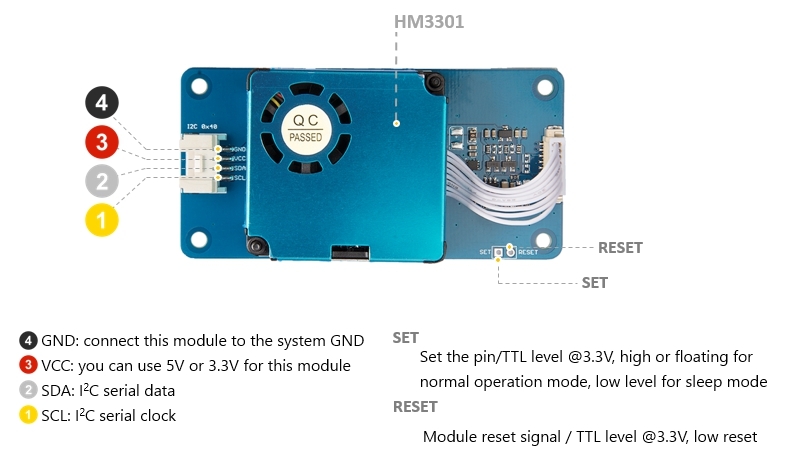 Open it in your computer by click the basic_demo.ino which you can find in the folder XXXX\Arduino\libraries\Seeed_PM2_5_sensor_HM3301-master\examples\basic_demo, XXXX is the location you installed the Arduino IDE. The standard particulate matter mass concentration value refers to the mass concentration value obtained by density conversion of industrial metal particles as equivalent particles, and is suitable for use in industrial production workshops and the like. The concentration of particulate matter in the atmospheric environment is converted by the density of the main pollutants in the air as equivalent particles, and is suitable for ordinary indoor and outdoor atmospheric environments. So you can see that there are two sets of data above. Atmospheric Pollution Visualization：The air pollution problem attracts more and more attention. This time we tried to monitoring PM2.5 with Wio LTE and new Laser PM2.5 Sensor.